Nothing says “summer” quite like a sunny afternoon, a hot grill and a backyard BBQ with close friends. Those ants, flies and mosquitoes though? They weren’t invited. Follow our top 5 pieces of advice to keep them away, so you can enjoy your burger with a side of fries– not flies. Herbs are no longer just for grilling. If you’re using a charcoal grill, place sprigs of rosemary, sage or a combination of the two, on top to increase the flavor in your meat and decrease the mosquitoes attracted to it. 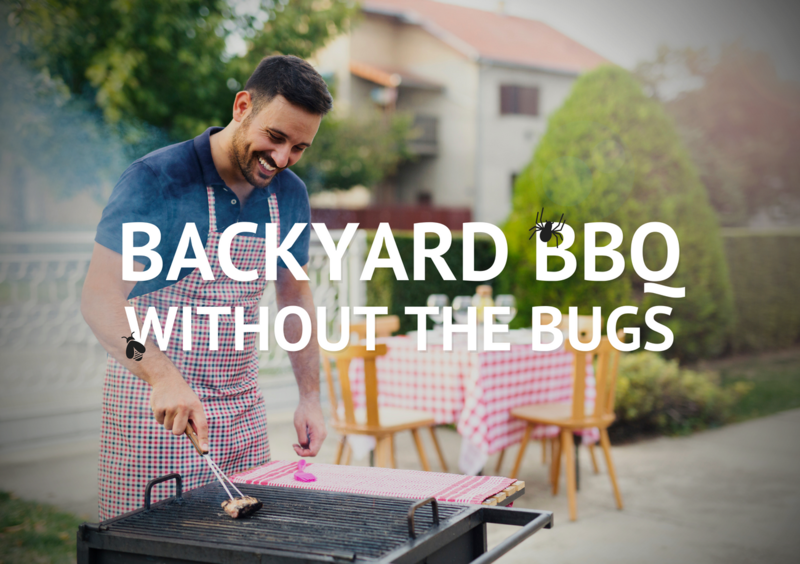 If you’ve ever lived through a Central Arkansas summer, you’re no stranger to this breezy trick– blow your pest guests away (and we don’t mean with your delicious cooking!). Not only do fans keep the area cool, but they also make it difficult for bugs, especially weak mosquitoes and flies, to attend the party. Standing water is more than just an eyesore– it’s a pest paradise! With a quick dump of your bird feeder and flip of your empty flower pots, you can eliminate a water source and mosquito-breeding ground. Aunt Marie isn’t the only chocolate cake-loving guest at your party! Pests show special interest in sweet treats and alcoholic beverages, so be sure to wipe up spills, clean crumbs and trash plates as the messes happen to avoid creating a bug buffet. Then, seal up your garbage bin, and store it away from guests. You worked hard on prepping the perfect menu for your BBQ. You shouldn’t have to share it with insects! Put away the citronella candles, and protect your property by contacting Command Pest Control. Our Mosquito Control Program is the ultimate mosquito pest control plan in the state, and our services estimates are completely free.